This is a list of basic Samuel Adams Facts. 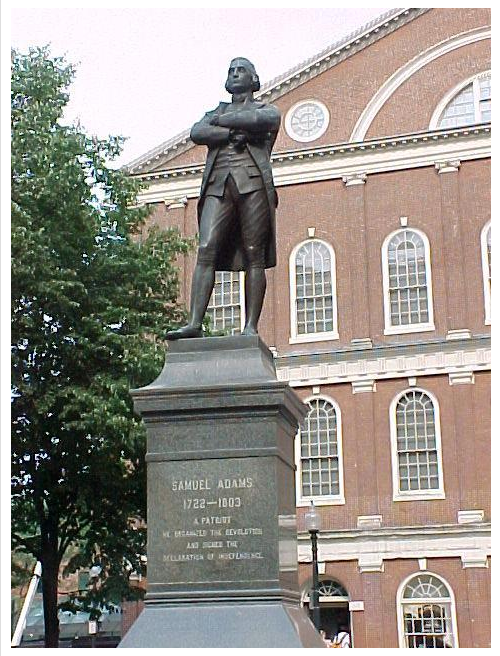 Samuel Adams is sometimes called the "Father of the American Revolution" because of his early stand against the tyranny of Great Britain and his speeches and writings that drew many American colonists into the fight for freedom. 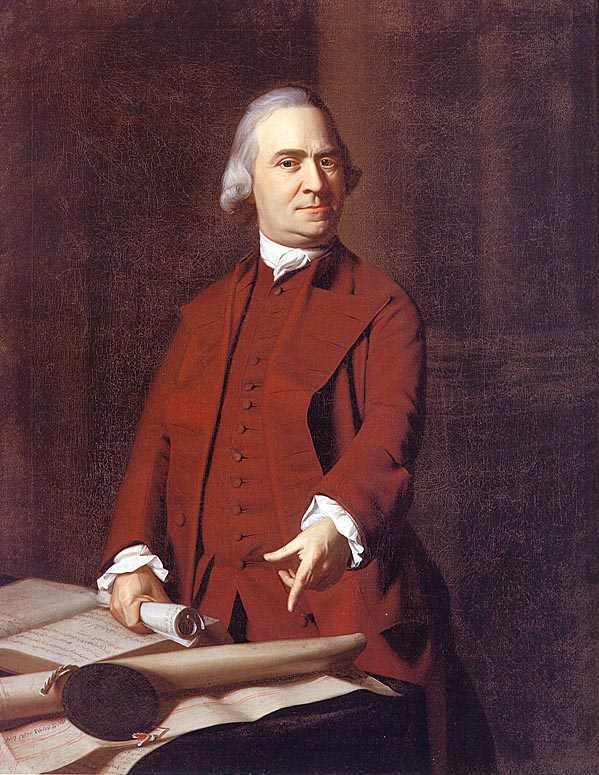 This list of Samuel Adams Facts contains basic things such as birth and death dates, marriage dates, number of children and occupations as a young man. It is also contains some interesting and less well known facts about this hero of the American Revolution. Married mother, Mary Fifield in 1713. Samuel Adams, Sr. was a Merchant and Brewer. 10th of 12 children, only two children lived past their 3rd birthday. Harvard Law School - Bachelor's degree in 1740; Master of Arts degree in 1743 (Master's Thesis: "Whether it be lawful to resist the supreme magistrate if the commonwealth cannot otherwise be reserved"). 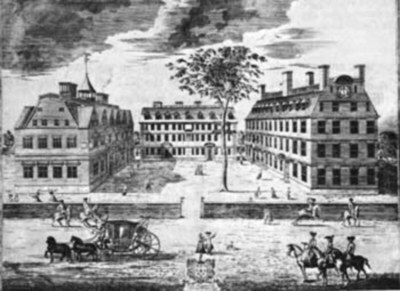 Harvard College was begun in 1636. 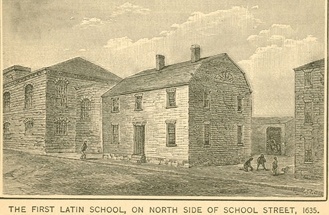 It is the oldest college in the United States. Generations of American leaders graduated from Harvard, including such notable Revolutionary War figures as Samuel Adams, John Adams and John Hancock. In those days, teenagers attended Harvard. Sam Adams graduated Harvard at the age of 18. So he attended from age 15 to 18. Mercantile Businessman, worked in the counting house of future delegate to the Continental Congress Thomas Cushing. Cushing fired Adams because he wasn't any good at business. Brewer. He inherited the brewery from his father, but also failed at this business. Married Elizabeth Checkley, October 17, 1749. She died July 25, 1757. Married his 2nd Wife, Elizabeth Wells, in 1764. Unnamed son, July 1757. This son was stillborn. Elizabeth died as a result of this birth on July 25, 1757. 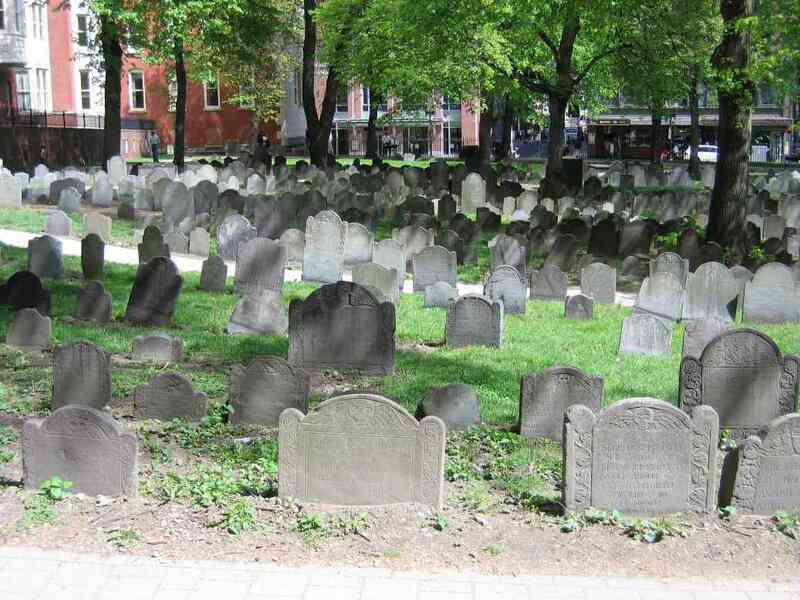 Samuel Adams, Jr. was a doctor. His 2nd cousin, John Adams, became 2nd President of the United States. When his business failed in 1764 Adams entered politics full-time. In May 1764, he drafted the instructions given by the town of Boston to its newly chosen representatives in regard to the newly enacted Sugar Act. These instructions were the first public protest in America against the right of Parliament to tax the colonies. The instructions were widely distributed and made Samuel Adams' name known throughout the colonies. Read more Samuel Adams Quotes here. Retired in 1798 at the age of 76. October 2, 1803 at age of 81. Average build. Words that describe him - conscientious, a noble genius within, more than ordinary inflexibility of character and purpose, great sincerity, simplicity, interesting, instructive, concise, impressive, inflexible firmness, patriotic ardour, full of hope, resolute, eager for action. 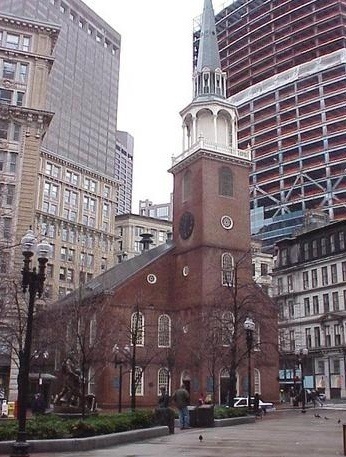 The Old South Meeting House, located on the Boston historic Freedom Trail on the corner of Washington and Milk streets. It became famous as the location of the meeting that preceded the Boston Tea Party during which Samuel Adams delivered a speech and gave a secret signal to start the action by saying the phrase, "This meeting can do nothing more to save the country!" The meeting was held there, as there was no other building in Boston capable of fitting the 5,000 people that were present. A Founder of "The Sons of Liberty" in November 1765. First to propose a Continental Congress. Helped write the Articles of Confederation in 1777. Opposed ratifying Constitution until the Bill of Rights was added. Suggested Jacob Duche open in prayer at First Continental Congress. In old age, he suffered from symptoms of Parkinson's disease. 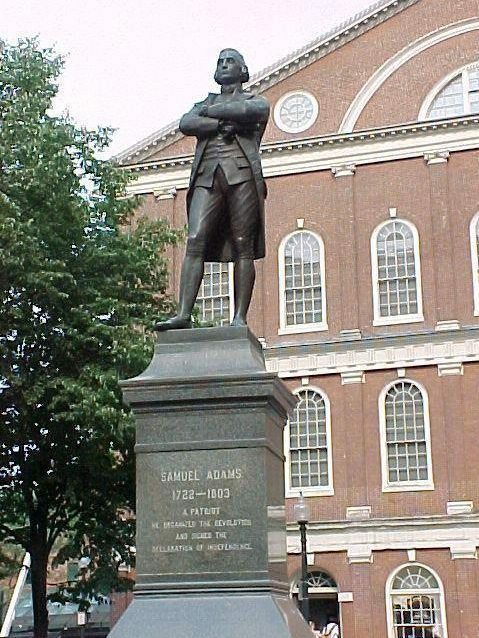 "Samuel Adams: America's World Class Beer" is named for him due to his early occupation as a brewer. Test your knowledge about Sam Adams with our Samuel Adams Crossword Puzzle.